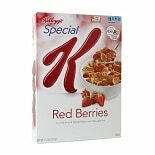 Shop Special K Cereal Red Berries (11.2 oz. )11.2 oz. 2 for 5 dollars and 00 cents or 1 for 2 dollars and 99 cents 2/$8.00 or 1/$4.49 $0.27 / oz. 2 for 5 dollars and 00 cents or 1 for 2 dollars and 99 cents 2/$8.00 or 1/$4.49 $0.24 / oz. 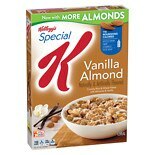 Shop Special K Cereal Vanilla Almond (12.4 oz. )12.4 oz. 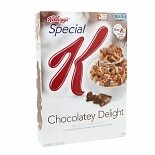 Shop Special K Cereal Chocolatey Delight (13.1 oz. )13.1 oz. 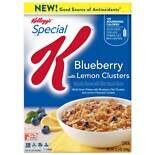 2 for 5 dollars and 00 cents or 1 for 2 dollars and 99 cents 2/$8.00 or 1/$4.49 $0.23 / oz. 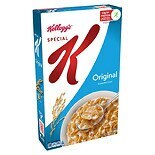 Shop Special K Cereal Original (12 oz. )12 oz. 2 for 5 dollars and 00 cents or 1 for 2 dollars and 99 cents 2/$8.00 or 1/$4.49 $0.25 / oz. 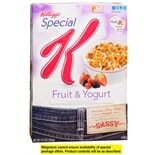 Shop Special K Cereal Fruit & Yogurt (12.5 oz. )12.5 oz.